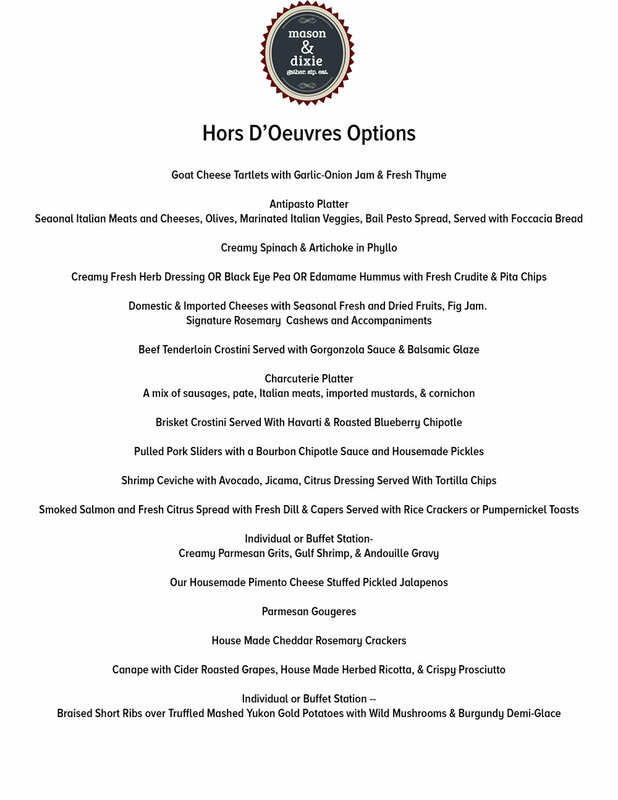 Click the arrows on the images above to see a full list and menus of potential catering items. Bring Home a little M&D Magic! From family gatherings to parties big and small, let us bring what you love about Mason & Dixie straight to your home, office, or event space. We can accommodate just about any size and create beautiful arrangements that make the perfect centerpiece to any occasion!